This week, we bring you good news for anyone experiencing flashbacks from trauma. This includes trauma from domestic violence or abuse. It even works with children! Some domestic violence counselors and shelters now offer this therapy: Eye Movement Desensitization and Reprocessing (EMDR). The Mary Kay Foundation℠ supports one of those shelters in Dallas, Genesis Women’s Shelter. What kinds of conditions can EMDR treat? Scientific research first confirmed EMDR as effective for Post Traumatic Stress Disorder. However, since then, EMDR has been found successful for many other conditions including panic attacks, phobias, pain disorders, anxiety, abuse, assault and even addictions. A very simplified explanation is this: The client focuses on disturbing image(s) while the therapist guides the client in rapid eye movements, which makes the memories less disturbing. You can read much more about EMDR at www.emdria.org. However, if you want the two-minute version, I highly recommend this two-minute animated video. Kelly Slaven, Director of Clinical Services, for Dallas Children’s Advocacy Center, uses EMDR in her work with children. She explains that EMDR therapy can be less distressing and work more quickly than exposure or cognitive behavioral therapies. She recently worked with a 9-year-old girl having flashbacks from a very specific part of abuse. Emily, not the girl’s real name, felt overwhelmed when these images and feelings took over at school, a playdate or even during a soccer game. Kelly used EMDR to help target these images and refocus them. In just two sessions in two weeks, Emily’s disturbance level dropped from a 10 (most traumatic) to a one. A Genesis Shelter client also found success with EMDR. Her husband attempted to strangle her on multiple occasions — including in her closet. She found everyday activities triggered the memories of these strangulations. She couldn’t walk into her closet, wear necklaces or scarves, or tolerate her children hugging her around the neck. After EMDR sessions, the client could play with her children again. She no longer relived the strangling. Her daughter could hug her from behind. She could give both her young boys piggyback rides while they giggled. She could laugh and love again without the trauma trigger. Another woman we’ll call Ruth had flashbacks of her abusive partner driving more than 100 miles per hour while verbally abusing her. Anytime she saw a vehicle that resembled his, she went back to that situation in her mind. After several weeks of EMDR work, Ruth found relief. She recognized that his reckless driving was not her fault. She began to feel empowered and strong. Before EMDR, Ruth felt depressed, suicidal and irritable. Today, she is taking care of herself, learning to trust people, and building deeper relationships with her children and others. EMDR has proven successful in many situations. These resources can help you learn more about EMDR or find a certified therapist. If you can’t find one in your area, try calling local counselors or shelters. Some may be certified but not listed on these websites. EMDR International Association offers resources for clinicians and clients. EMDR therapist network also offers a search option. EMDR Institute provides resources and therapist information. If you’ve tried EMDR therapy, we’d love to hear your experience. Comment here or on The Mary Kay Foundation℠ Facebook page. 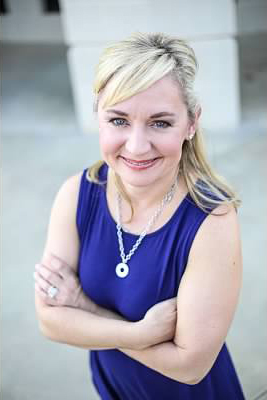 Stacy Graves is a contributing editor of The Mary Kay Foundation℠ blog and website. She’s married with two teen boys. She’s worked in some type of communication role for Mary Kay Inc. or The Mary Kay Foundation℠ since 1994 — loving every minute. She’s passionate about everything Mary Kay. You can connect with her by her website or LinkedIn.